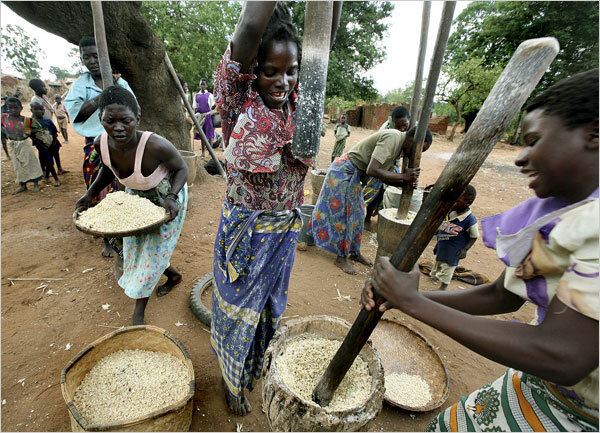 Malawi hovered for years at the brink of famine. 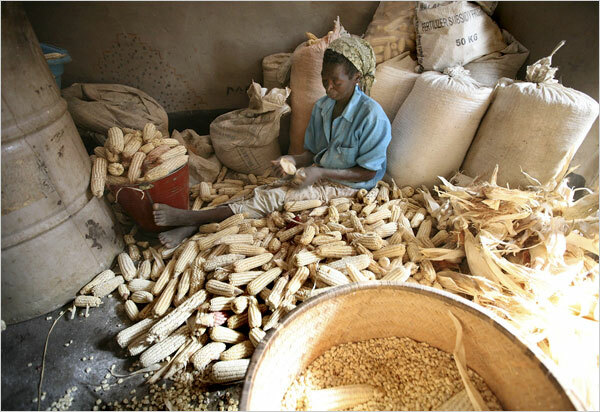 After a disastrous corn harvest in 2005, almost five million of its 13 million people needed emergency food aid. In Malawi itself, the prevalence of acute child hunger has fallen sharply. In October, the United Nations Children's Fund sent three tons of powdered milk, stockpiled here to treat severely malnourished children, to Uganda instead. ''We will not be able to use it!'' Juan Ortiz-Iruri, Unicef's deputy representative in Malawi, said jubilantly. Farmers explain Malawi's extraordinary turnaround -- one with broad implications for hunger-fighting methods across Africa -- with one word: fertilizer. Over the past 20 years, the World Bank and some rich nations Malawi depends on for aid have periodically pressed this small, landlocked country to adhere to free market policies and cut back or eliminate fertilizer subsidies, even as the United States and Europe extensively subsidized their own farmers. But after the 2005 harvest, the worst in a decade, Bingu wa Mutharika, Malawi's newly elected president, decided to follow what the West practiced, not what it preached. Stung by the humiliation of pleading for charity, he led the way to reinstating and deepening fertilizer subsidies despite a skeptical reception from the United States and Britain. 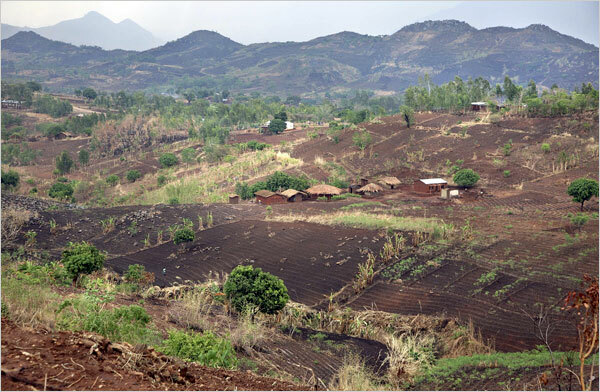 Malawi's soil, like that across sub-Saharan Africa, is gravely depleted, and many, if not most, of its farmers are too poor to afford fertilizer at market prices. The country's successful use of subsidies is contributing to a broader reappraisal of the crucial role of agriculture in alleviating poverty in Africa and the pivotal importance of public investments in the basics of a farm economy: fertilizer, improved seed, farmer education, credit and agricultural research. Malawi's leaders have long favored fertilizer subsidies, but they reluctantly acceded to donor prescriptions, often shaped by foreign-aid fashions in Washington, that featured a faith in private markets and an antipathy to government intervention. 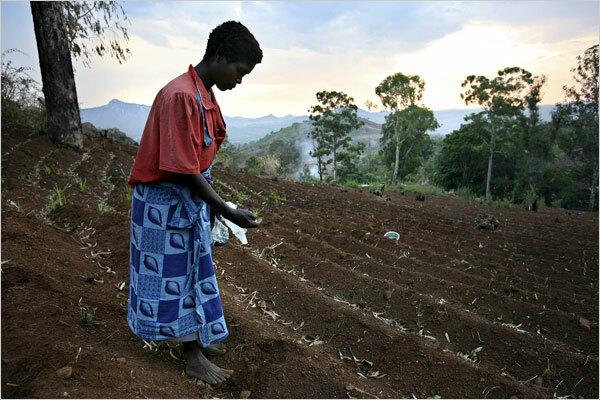 In the 1980s and again in the 1990s, the World Bank pushed Malawi to eliminate fertilizer subsidies entirely. Its theory both times was that Malawi's farmers should shift to growing cash crops for export and use the foreign exchange earnings to import food, according to Jane Harrigan, an economist at the University of London. In a withering evaluation of the World Bank's record on African agriculture, the bank's own internal watchdog concluded in October not only that the removal of subsidies had led to exorbitant fertilizer prices in African countries, but that the bank itself had often failed to recognize that improving Africa's declining soil quality was essential to lifting food production. ''The donors took away the role of the government and the disasters mounted,'' said Jeffrey Sachs, a Columbia University economist who lobbied Britain and the World Bank on behalf of Malawi's fertilizer program and who has championed the idea that wealthy countries should invest in fertilizer and seed for Africa's farmers. 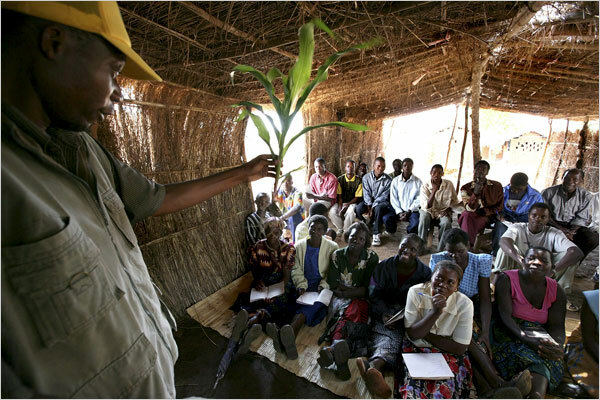 Here in Malawi, deep fertilizer subsidies and lesser ones for seed, abetted by good rains, helped farmers produce record-breaking corn harvests in 2006 and 2007, according to government crop estimates. Corn production leapt to 2.7 billion metric tons in 2006 and 3.4 billion in 2007 from 1.2 billion in 2005, the government reported. ''The government has taken the bull by the horns and done what farmers wanted,'' he said. Some economists have questioned whether Malawi's 2007 bumper harvest should be credited to good rains or subsidies, but an independent evaluation, financed by the United States and Britain, found that the subsidy program accounted for a large share of this year's increase in corn production. 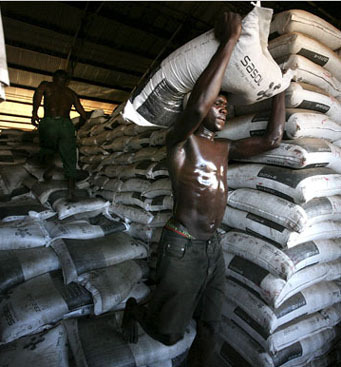 Farmers interviewed recently in Malawi's southern and central regions said fertilizer had greatly improved their ability to fill their bellies with nsima, the thick, cornmeal porridge that is Malawi's staff of life. Last year, roughly half the country's farming families received coupons that entitled them to buy two 110-pound bags of fertilizer, enough to nourish an acre of land, for around $15 -- about a third the market price. The government also gave them coupons for enough seed to plant less than half an acre. Malawians are still haunted by the hungry season of 2001-02. That season, an already shrunken program to give poor farmers enough fertilizer and seed to plant a meager quarter acre of land had been reduced again. Regional flooding further lowered the harvest. Corn prices surged. And under the government then in power, the country's entire grain reserve was sold as a result of mismanagement and corruption. ''It's quite marvelous!'' he exclaimed. 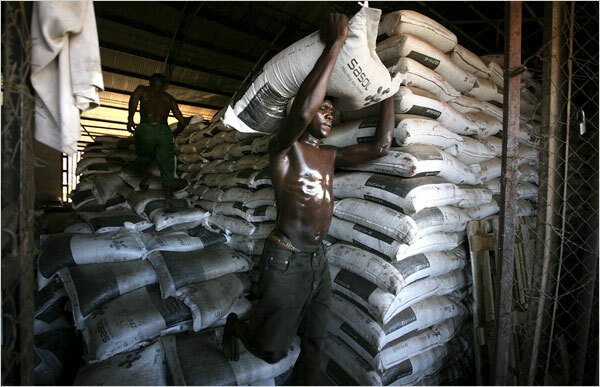 Malawi's determination to heavily subsidize fertilizer and the payoff in increased production are beginning to change the attitudes of donors, say economists who have studied Malawi'sexperience. 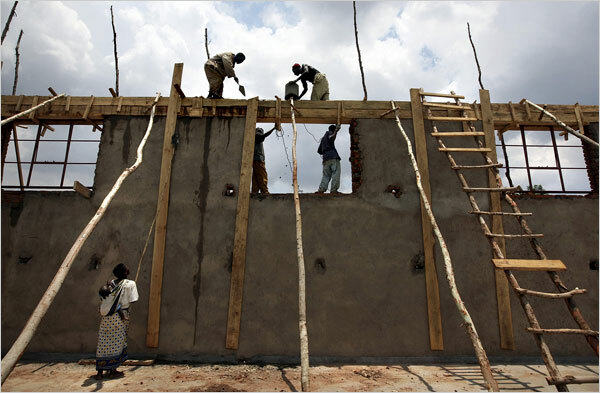 The Department for International Development in Britain contributed $8 million to the subsidy program last year. Bernabe Sanchez, an economist with the agency in Malawi, estimated the extra corn produced because of the $74 million subsidy was worth $120 million to $140 million. ''It was really a good economic investment,'' he said. But Alan Eastham, the American ambassador to Malawi, said in a recent interview that the subsidy program had worked ''pretty well,'' though it displaced some commercial fertilizer sales. Here in Malawi, bank officials say they generally support Malawi's policy, though they criticize the government for not having a strategy to eventually end the subsidies, question whether its 2007 corn production estimates are inflated and say there is still a lot of room for improvement in how the subsidy is carried out. ''The issue is, let's do a better job of it,'' said David Rohrbach, a senior agricultural economist at the bank. 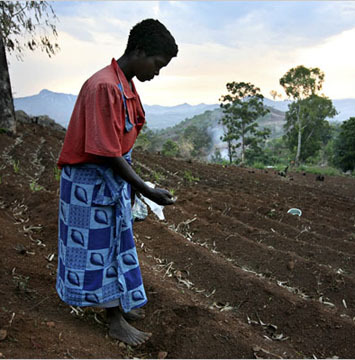 Though the donors are sometimes ambivalent, Malawi's farmers have embraced the subsidies. And the government moved this year to give its people a more direct hand in their distribution. 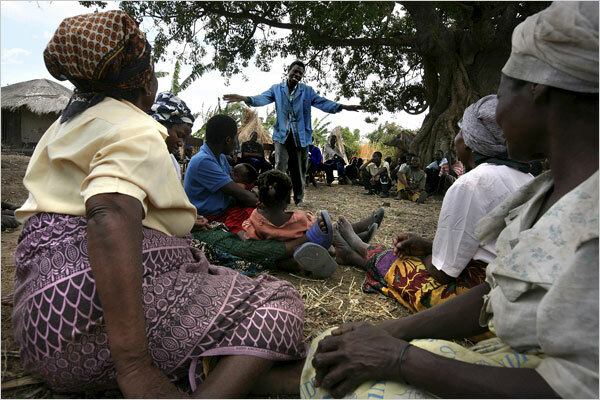 Villagers in Chembe gathered one recent morning under the spreading arms of a kachere tree to decide who most needed fertilizer coupons as the planting season loomed. They had only enough for 19 of the village's 53 families. ''Ladies and gentlemen, should we start with the elderly or the orphans?'' asked Samuel Dama, a representative of the Chembe clan. There were more poor families than there were coupons, so grumbling began among those who knew they would have to watch over the coming year as their neighbors' fertilized corn fields turned deep green.